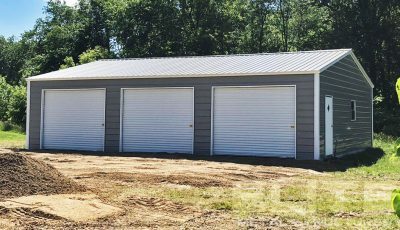 One benefit of the vertical style roof is that water, snow, leaves, and other debris will have a much easier time running off that type of roof. 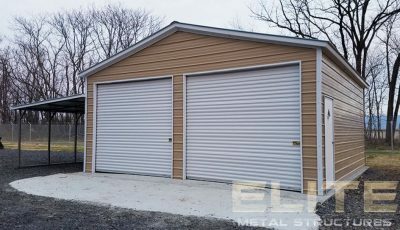 Water, snow, and debris will tend to lay in the ridges of a carport with panels oriented horizontally, like both the A-frame and the regular roof. This promotes rust and other problems for your metal building. 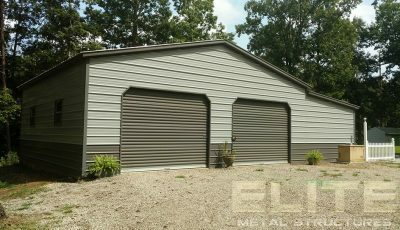 You never see metal roofing on a home with horizontal panels, why should your metal building be any different? An additional benefit of placing the panels on the roof in a vertical fashion is that this requires additional framing along the horizontal direction of the roof. These are called purlins, and add additional strength as a side benefit to being a mounting point for the vertical roof. 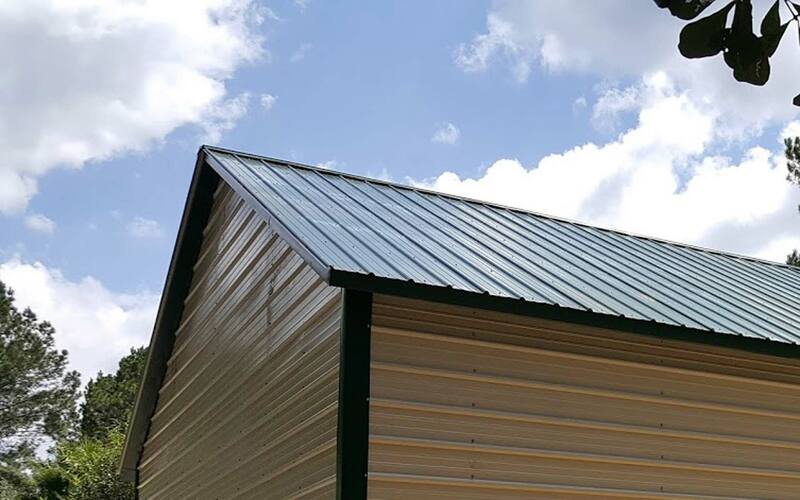 While the additional material and additional labor a vertical roof requires also drives up price, vertical roofs are the best the industry has to offer. All of these things combined, make the vertical style roof the strongest of the roof styles. 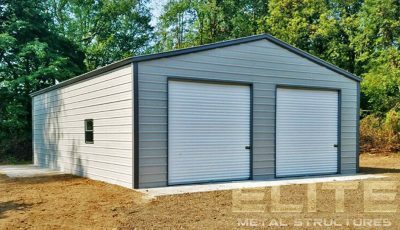 When paired with gutters and downspouts, insulation, and a color scheme of your choice you will have the metal building of your dreams. Another very popular option with the vertical style roof is vertical walls and ends. While not only making the exterior uniform in appearance it makes the structure stronger due to the purlins acting as a brace. The all vertical building also lends itself to the colonial style trim. 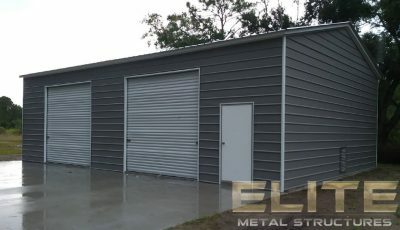 Which make some of the most beautiful metal buildings available. If you’re shopping price, a regular style structure or A-Frame unit may be the right choice for you. If you want the best, long-lasting roof system that’s virtually maintenance free, then the vertical roof is the only way to go. Vertical style structures are sturdiest among our offering and have ridge-caps and a hat-channel under the length of the roof.